The current Indian squad is loaded with match winners. 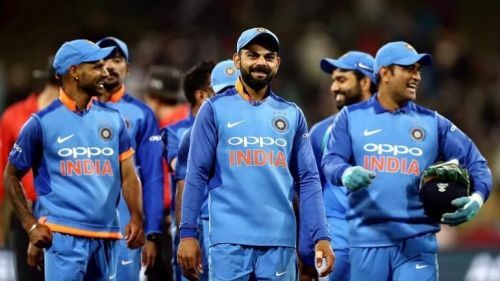 The Indian selectors have announced team India’s 15-member squad for the upcoming 50-over World Cup in England and Wales. As expected, Virat Kohli would be leading India’s charge at the World Cup while Rohit Sharma will be his deputy. While most of the squad is one expected line, the selectors have opted for the experience of Dinesh Karthik over the exuberance of Rishabh Pant. KL Rahul and Vijay Shankar have been preferred to Ambati Rayudu for the number 4 spot. In the bowling department, the selectors opted to go with only three fast bowlers in the form of Jasprit Bumrah, Mohammed Shami and Bhuvneshwar Kumar and three spinners in Kuldeep Yadav, Yuzvendra Chahal, and Ravindra Jadeja. India kick off their campaign on the 5th of June against South Africa before taking on Australia on 9th June. This Indian squad is filled with many match-winners. We take a look at 3 players that can prove to be the game changers for India at the World Cup. Rohit has been in great form over the last few years. It would not be wrong to say that Rohit Sharma is currently amongst the top 3 batsmen in ODI cricket. 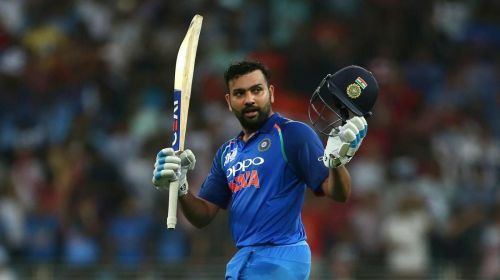 Rohit has taken his game to the next level during the last few years and is likely to be the lynchpin of India’s batting lineup during the World Cup. He has been very consistent of late and has been scoring daddy hundreds. If Rohit is in, he has the ability to bat deep. He already has three double hundreds to his name in ODI cricket. He is the biggest hitter of the cricket ball in the Indian team and can strike those huge sixes at will. If India are to chase down a big total, Rohit needs to click. A lot will depend on his ability to see off the new ball which swings prodigiously in English conditions. ICC World Cup 2019: Who are the biggest game-changers for India? Is India Ready for the ICC World Cup 2019? ICC World Cup 2019: Who are the biggest game-changers for Australia?